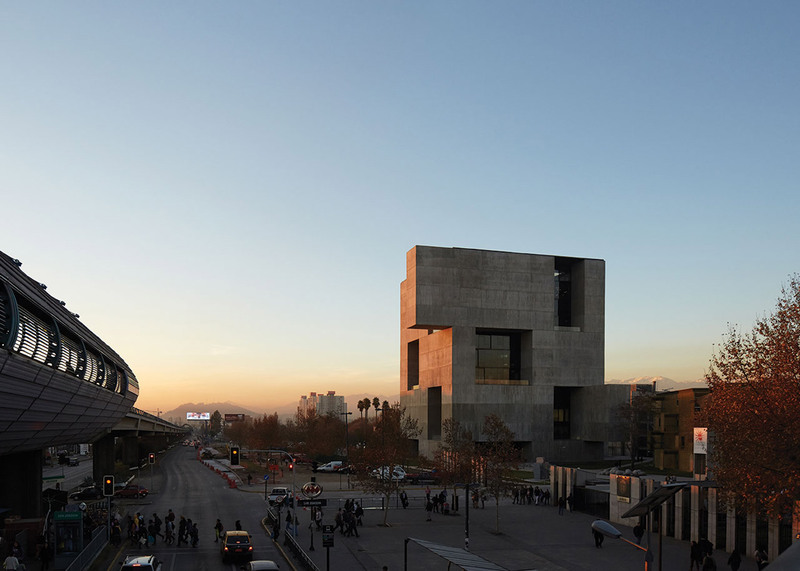 These new shots by Chilean photographer Cristobal Palma reveal the monumental cube structure of the UC Innovation Center – Anacleto Angelini by 2016 Pritzker Prize laureate Alejandro Aravena (+ slideshow). 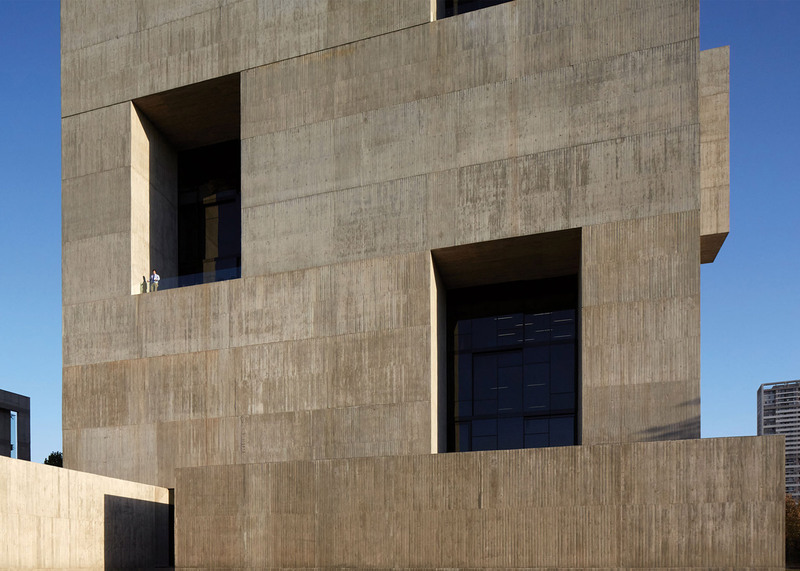 Aravena's firm Elemental completed the 8,176-square-metre building in 2014. The 14-storey structure – which includes three floors underground – was designed to bring together businesses and university researchers. 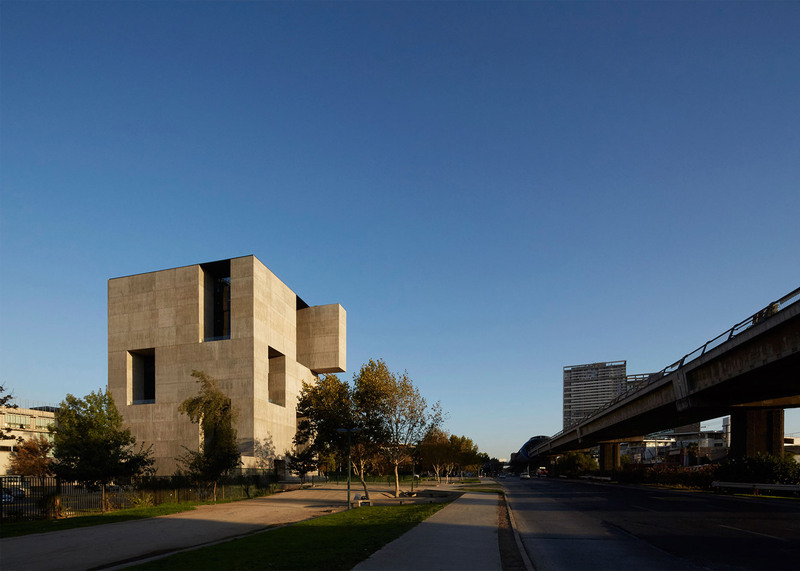 Located on the campus of Universidad Católica de Chile, in Santiago, the building has an unusual form made up of huge concrete slabs. These appear to have been stacked up like Jenga pieces, creating a series of gaps and protrusions. The gaps form deep recessed windows fronted by balconies, designed to prevent the network of communal interior spaces from getting too hot. 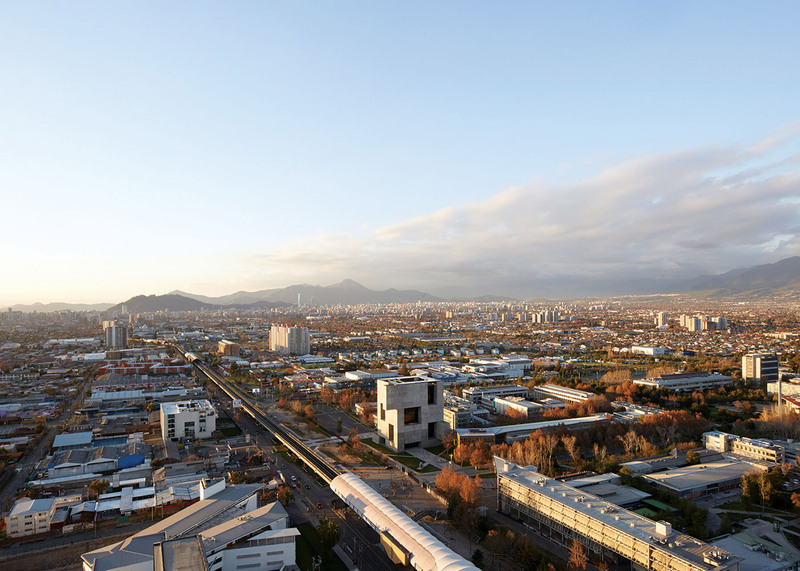 Talking about the project in a lecture in November, Aravena explained how the client had asked for a glass building. But he felt this would result in costly air-conditioning bills, so he came up with an entirely different solution. 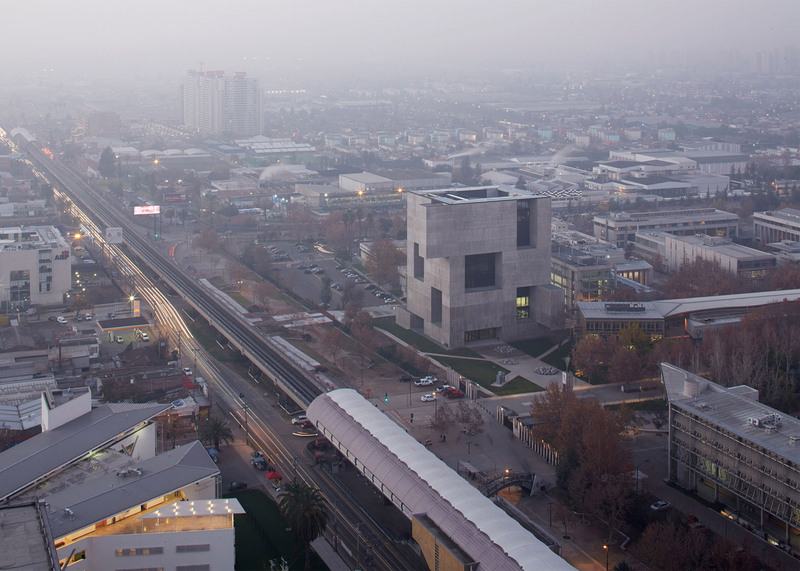 "We almost lost the contract because we designed an opaque building," said the architect, explaining that glass buildings are completely unsuited to the Chilean climate. 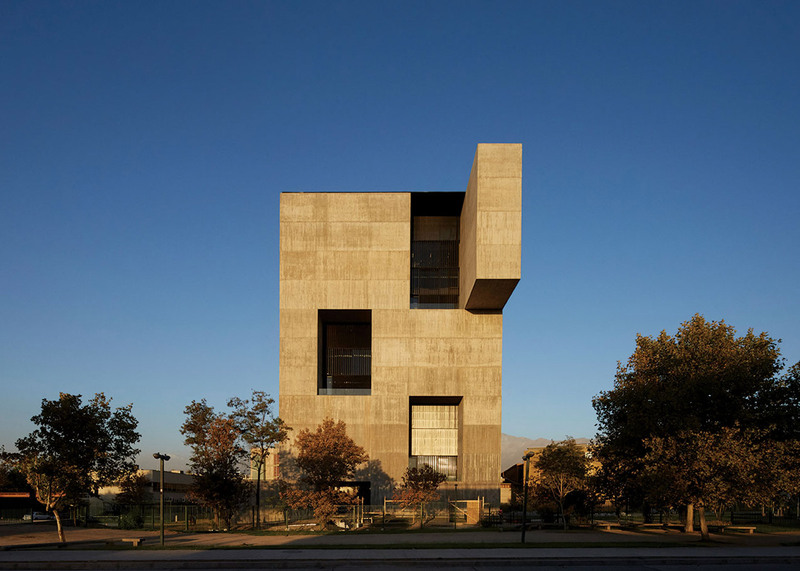 "From a functional point of view we knew that the project had to be able to be adjusted," he said, and described his alternative design as a return to more "primitive" forms of architecture. "We wanted to have a more stupid design, something that was not about designing but about the composition," he added. "We were trying to get away from the sun, not go looking for the sun." The move paid off – the centre uses half the amount of energy as a glass tower block. Inside, the building comprises a "matrix" of formal and informal areas meeting areas and workspaces, designed to encourage interactions between the various occupants. 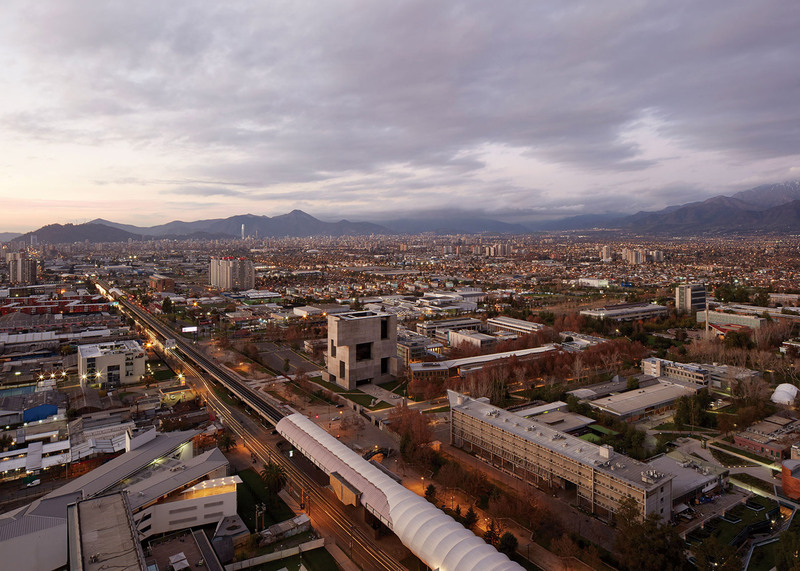 UC Innovation Center – Anacleto Angelini was named as the winner of the architecture category in the London Design Museum's 2015 Designs of the Year. 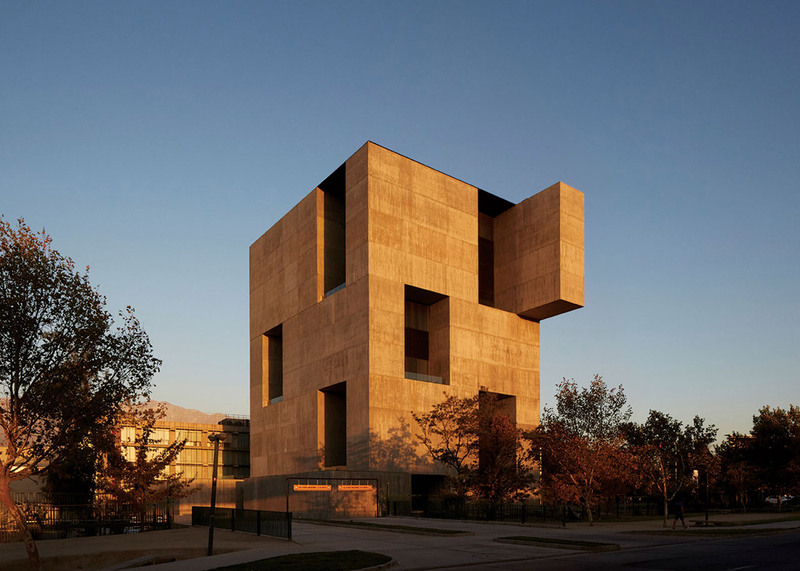 It is one of several buildings that Aravena has designed at the university where he studied architecture. Others include the Mathematics School and the Architecture School. 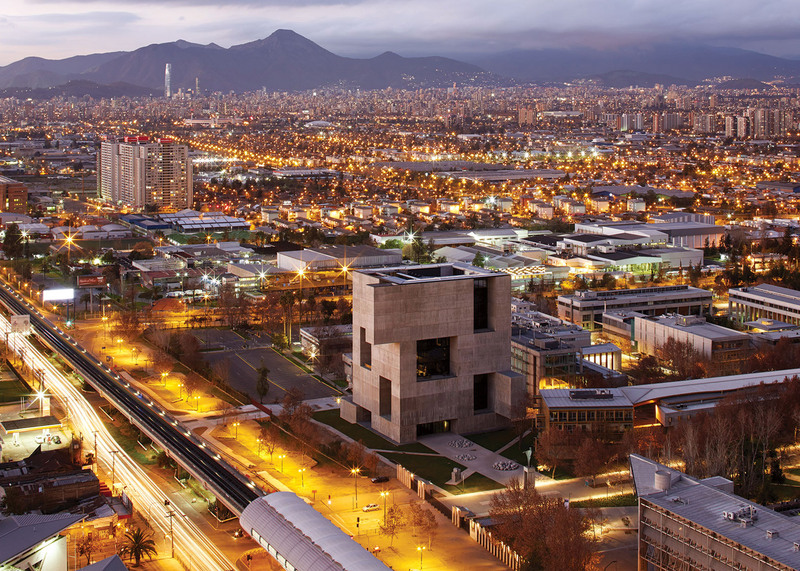 Aravena was revealed as the 2016 Pritzker Prize laureate earlier this week. In an exclusive interview with Dezeen, he said that universities are failing to give architects the training that will enable them to find solutions for an imminent global housing crisis – one of the topics expected to feature in this year's Venice Architecture Biennale, which he is curating. Photography is by Cristobal Palma, who is also based in Santiago. In an interview with Dezeen in 2014, Palma revealed that social media is changing the way architects and photographers work.